Let’s continue our comfort food recipes theme through the rest of this windy & rainy week here, shall we? Because these easy slow cooker honey chipotle BBQ chicken sandwiches are super simple to prepare, chock full of sweet & spicy flavor, and kid-approved. 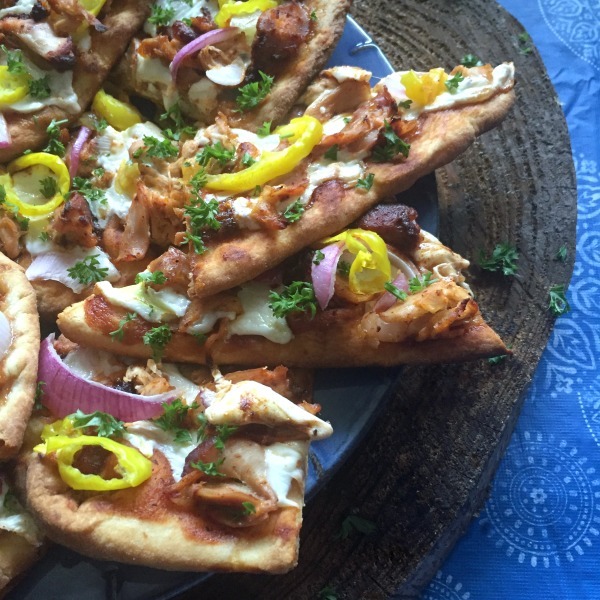 Make tomorrow night’s dinner great, too: Use some of the leftover BBQ pulled chicken to cook yourself up some BBQ chicken naan pizza! Because this naan is another thing you should be buying at ALDI; it makes the best ever pizza crust, and makes pizza night so very easy. 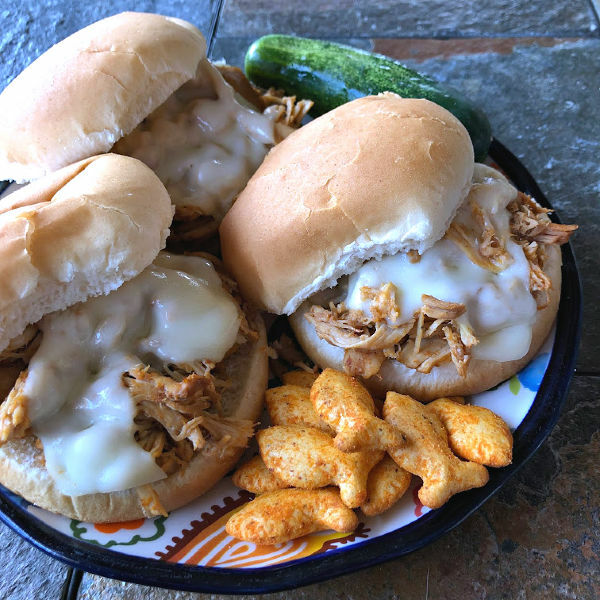 You can get almost everything you need for this easy pulled BBQ chicken sandwiches recipe (other than the smoked paprika) over at your local ALDI. And, as for that smoked paprika? 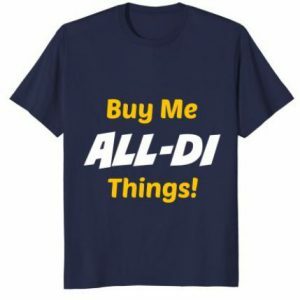 You should be stocking that in your pantry anyway, for just such as an occasion as this. I recommend serving your sweet & spicy slow cooker chicken sandwiches with something sour & crunchy. Pickles will do if you want to keep it simple, or use your favorite coleslaw recipe for a fuller side dish. 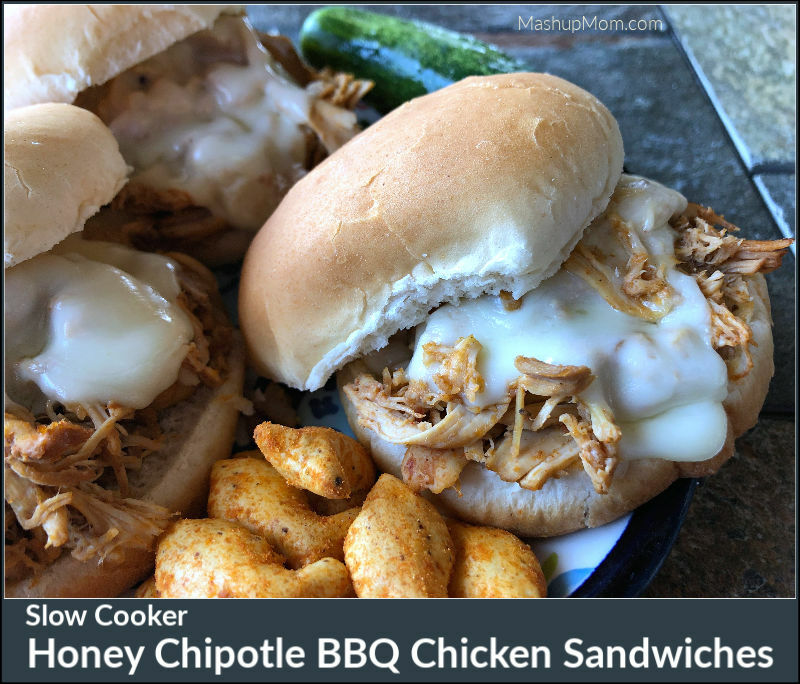 As always, you can read and print the full slow cooker honey chipotle BBQ chicken sandwiches recipe over on sister site Mashup Mom. 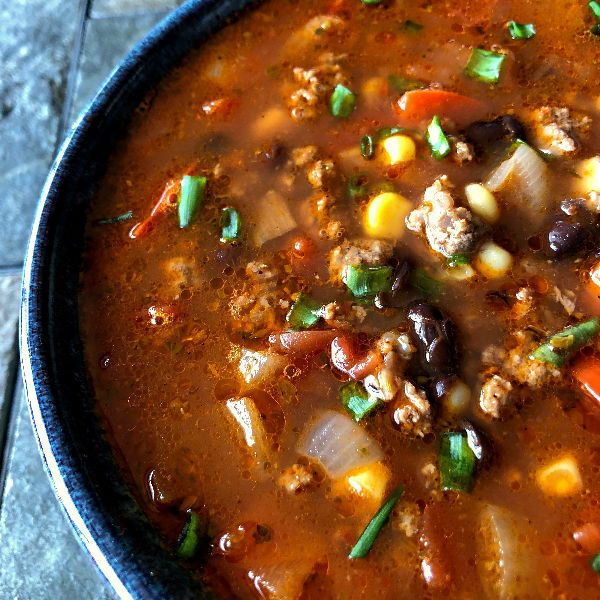 In last week’s chipotle taco soup recipe I explained a bit of my love for recipes featuring chipotles in adobo, and you can find more recipe options in that post to help use up the rest of your can. I also love that these chipotle peppers run just $.99 every day at my ALDI. That’s a lot of flavor packed into one little can, and generally that one can stretches through at least three recipes! 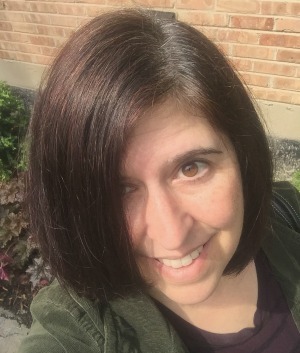 Search all of my ALDI recipes here, and find the weekly ALDI meal plans using these recipes here.